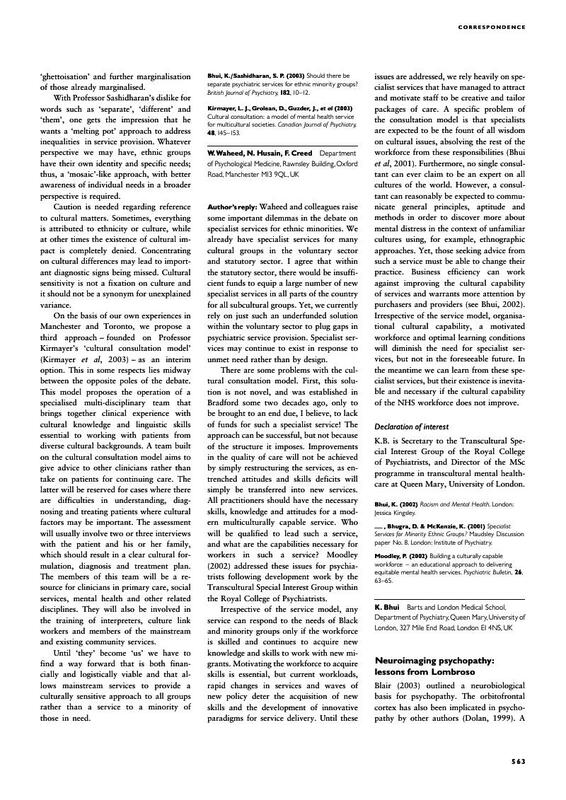 Bhui, K. (2002) Racism and Mental Health. London: Jessica Kingsley. Moodley, P. (2002) Building a culturally capable workforce – an educational approach to delivering equitable mental health services. Psychiatric Bulletin, 26, 63–65.